During the colder months there is nothing warmer than a teddy coat! 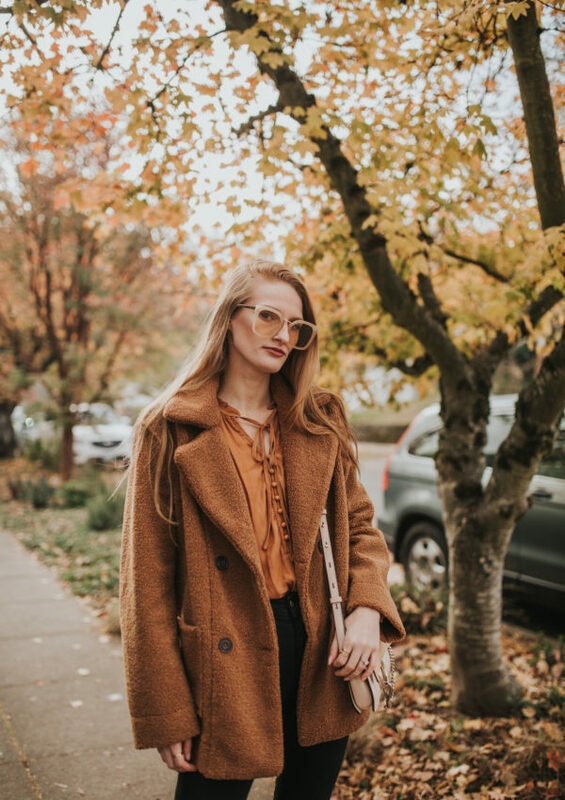 I love my brown teddy coat because the color is so chic and it is incredibly cozy. Some of you may remember the classic Nickelodeon cartoon show about a spunky redheaded girl. If you don’t, it’s a TV show about a girl named Ginger’s journey through middle school. I’m sure we can all remember how painful that time was, with raging puberty and hormones. In the show there is a gaggle of mean girls who try to make Ginger and her friend’s lives difficult. I’m sure we have all experienced bullying in some way or form, but I think some of the worst type of bullying is making fun of someone’s physical appearance. Throw in some red hair, pasty skin and freckles – the bullies will have a field day with you! In 6th grade I remember a girl making fun of my eyelids having prominent veins since my skin is so pale. I’ve had people comment on my blog telling me that my outfit would look better on someone who isn’t so pale. I’ve had times where I was tested to spend hundreds of dollars a month on spray tans just so I can look normal. I have heard people say nasty comments like “well she’s a ginger so…” implying that people with red hair are inferior or ugly. I always wondered why I had to change myself to appease someone else. Was my red hair and pale skin that offensive? 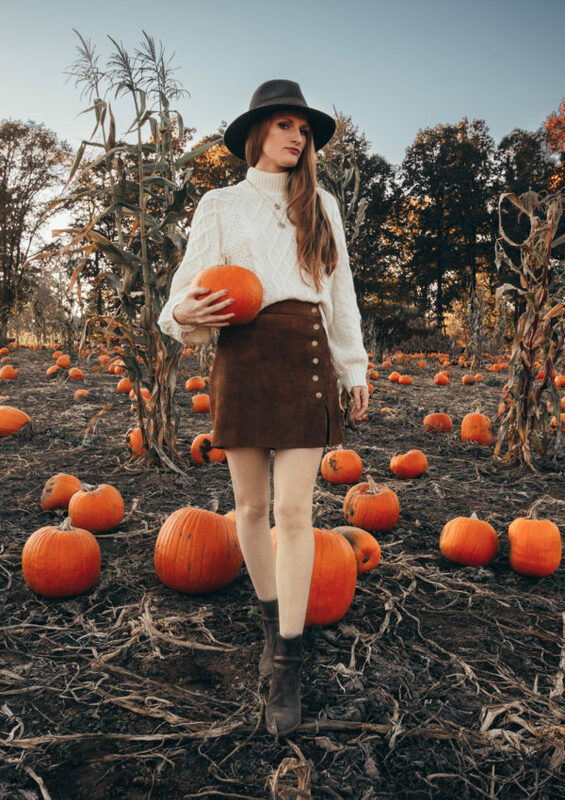 This sweater and skirt outfit is perfect for any fall day. You could be apple picking at the orchard, pumpkin picking at the patch, watching the fall foliage, or drinking apple cider in the corn maze. 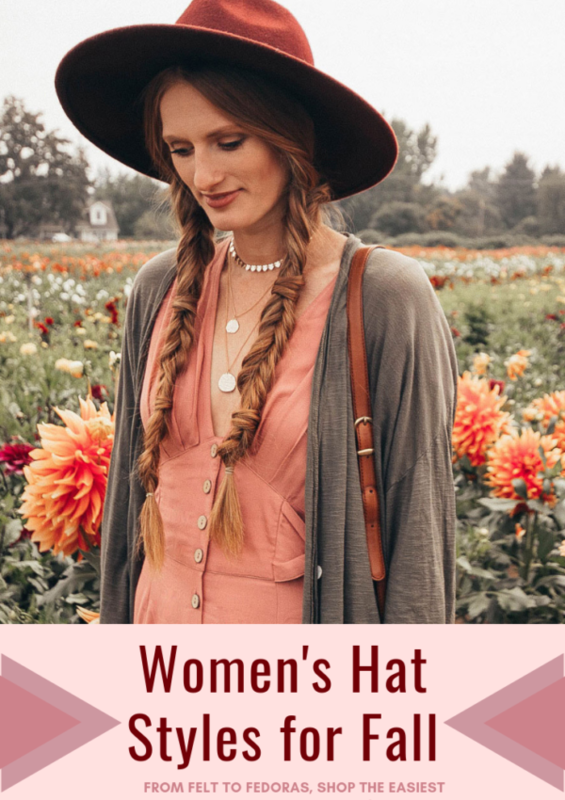 The perfect women’s hat styles for fall. Styling hat is so easy! 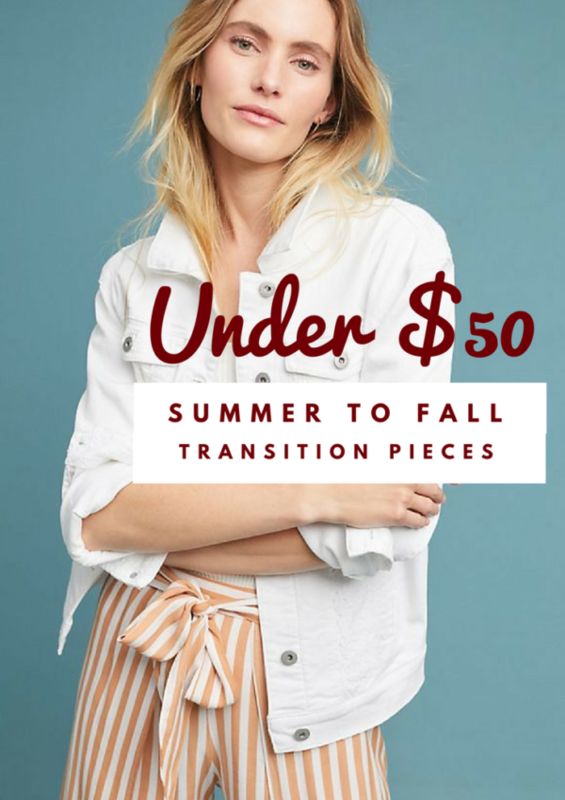 You can wear hats all fall and winter long with so many different outfits. Fall is right around the corner, but that doesn’t mean the temperatures are going to drop over night! We still have at least a month and a half before the cold of October starts to roll in. The fall harvest is finally among us. 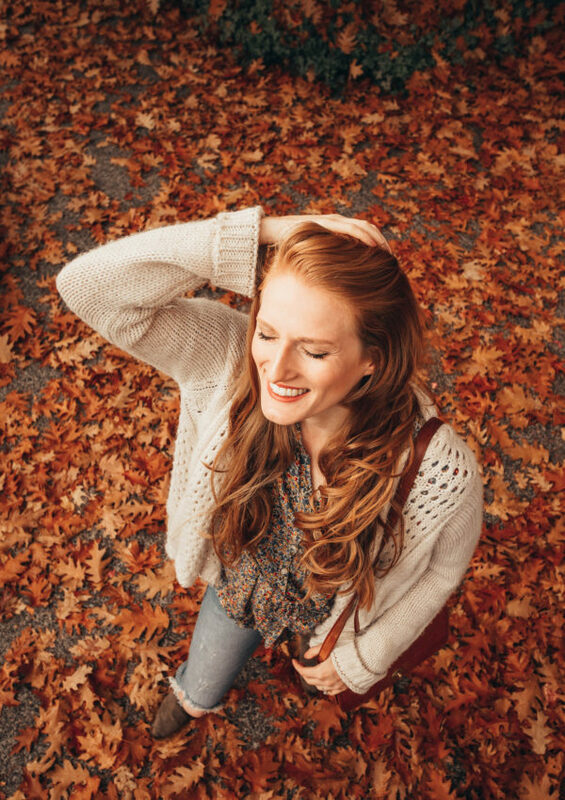 Autumn is like a season out of a storybook; it is full of spices and spooks, pumpkins and knits, foliage and apple cider. Fall happens to be one of my favorite seasons because of the beautiful colors and scenery.